I was contacted by an old high school friend about making treats for a very "girly" baby shower she was hosting. She wanted pink, hearts and dainty treats, and I couldn't have been more excited to work with her. That is.....until she asked for petit fours. I've tried making them twice, and have been less than thrilled with both the tedious process, and the results. I even vowed to never make them again. But I just couldn't tell her no. So I took to Google, determined to find a better way to make them. 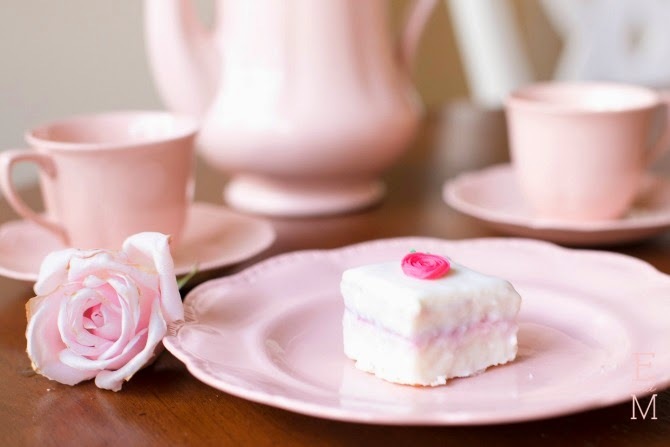 After lots of browsing, I happened upon the site for the Woodland Bakery Blog, and her tutorial for poured fondant icing. 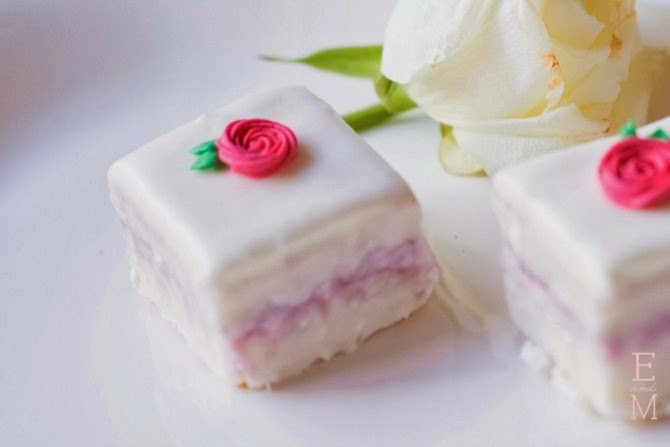 Not only did the recipe pique my interest, but so did her method of actually pouring the fondant with a piping bag, instead of dipping or spooning it over the cakes. I've not had much luck getting an even coat on the petit fours, but this method seemed to give more control over the placement of icing. Genuis!! Not only was it so much easier this way, but it was also less messy. I love how they turned out, and have officially added petit fours to my price list. 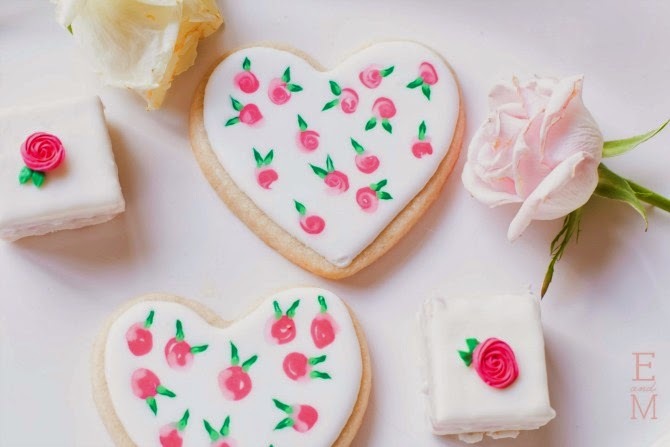 For the heart cookie favors, I used the Sweetambs tutorial for wet on wet roses, and the result was a beautiful, almost hand-painted looking cookie. These were wrapped in cellophane bags and tied with ribbon, and I think they made for a really special take home treat. As luck would have it, Hank and I had our pictures taken by a new photographer in Austin that same weekend, and I sent her home with a few leftover treats as a thank you. She took these beautiful pictures at home, and I just love them! If you're in the Austin area, she is a wonderful photographer to use. Thank you Emily and M! 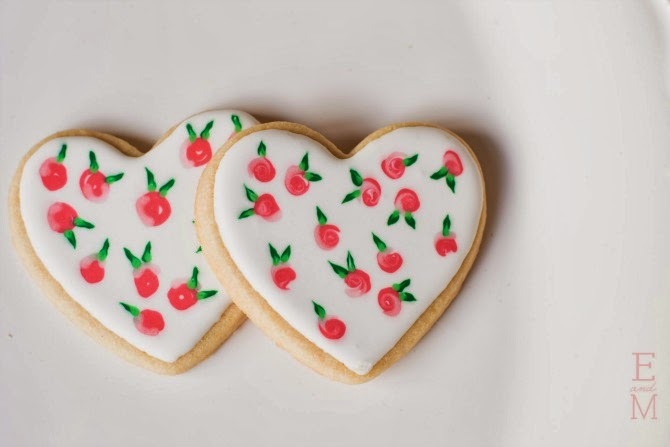 I just love these - those heart cookies make me swoon.